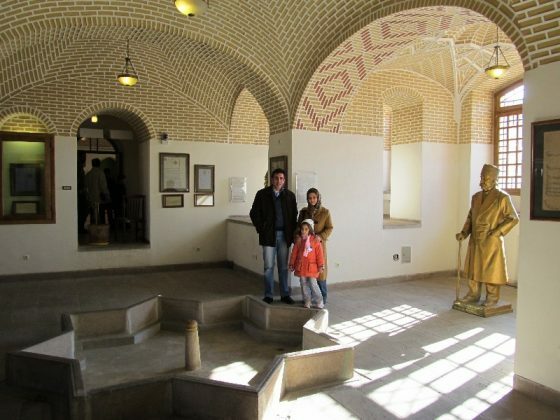 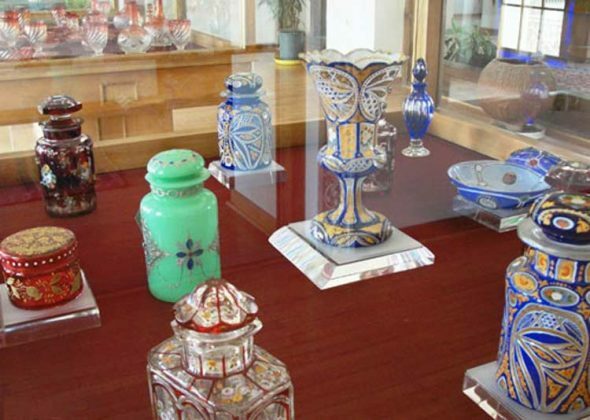 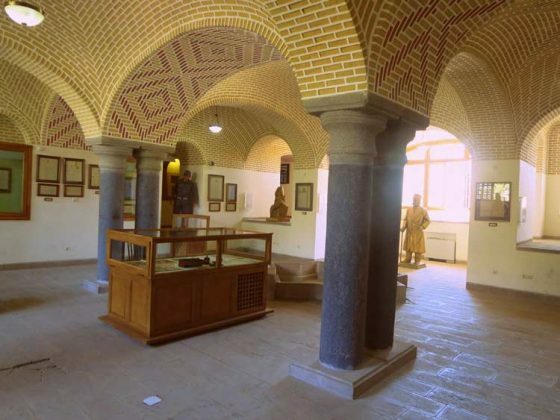 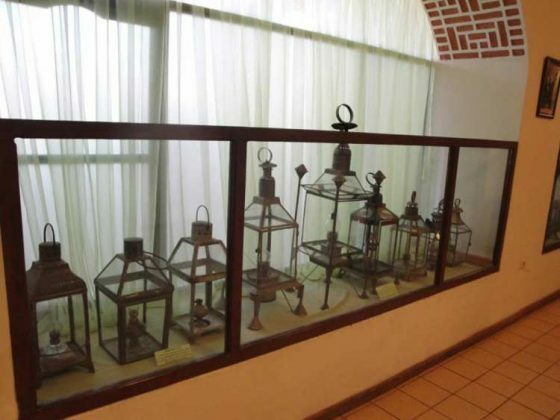 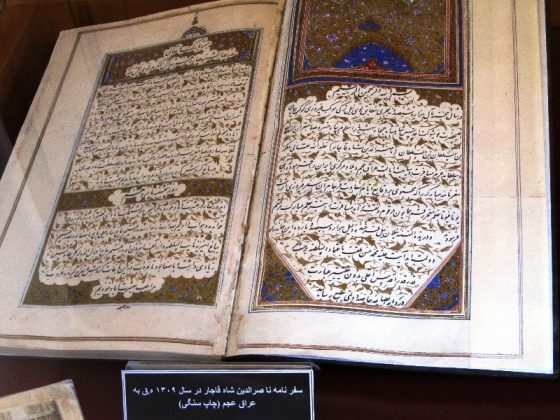 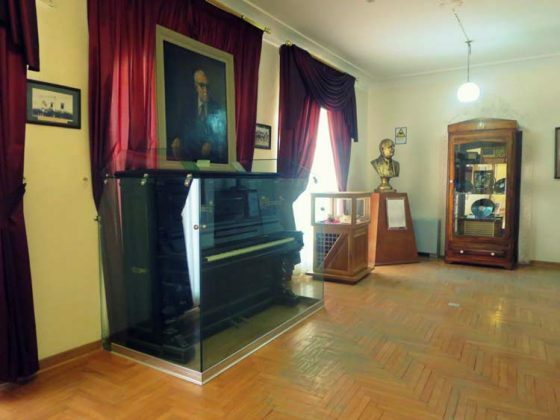 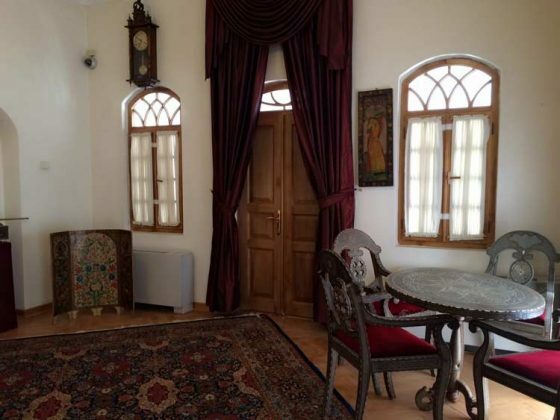 The house has now turned into a museum showcasing items belonging to the Qajar era. 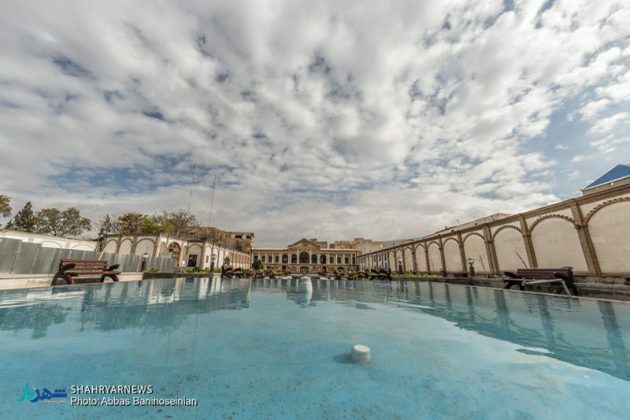 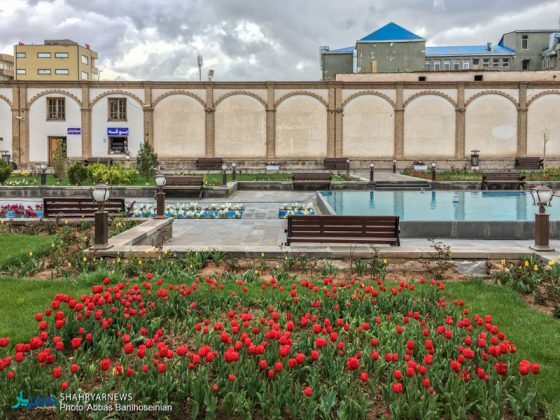 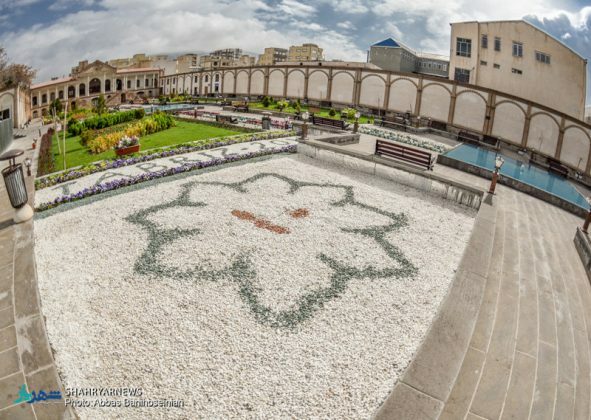 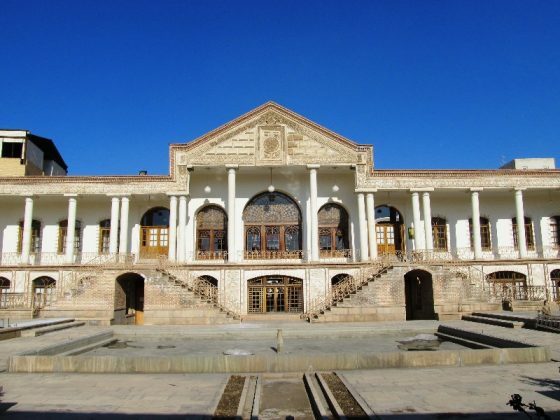 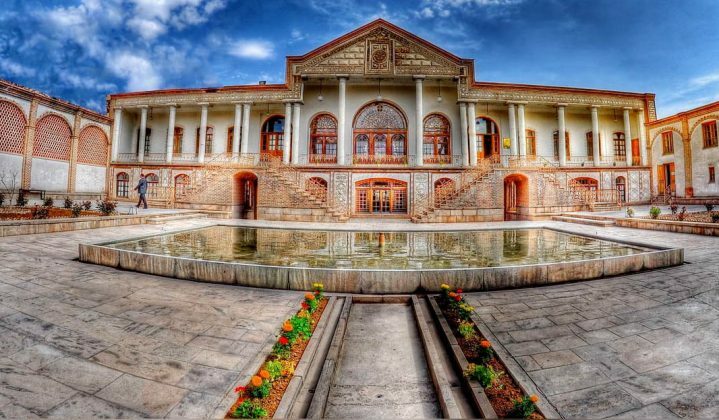 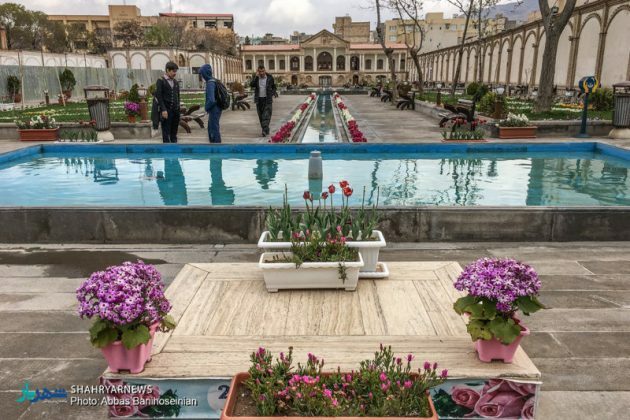 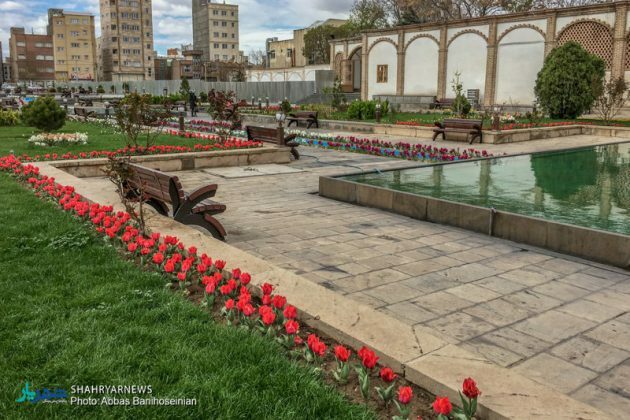 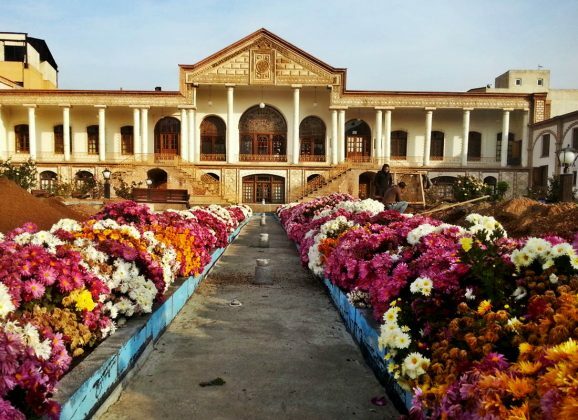 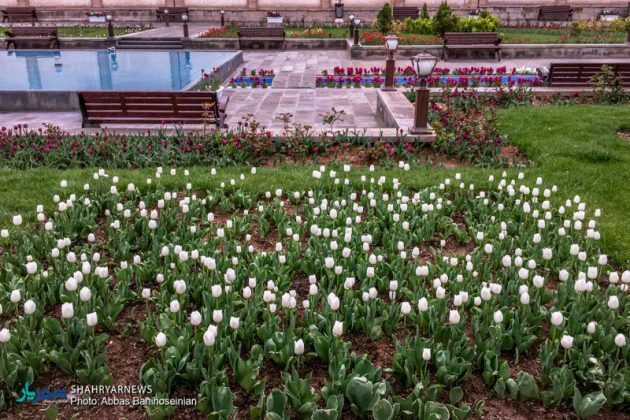 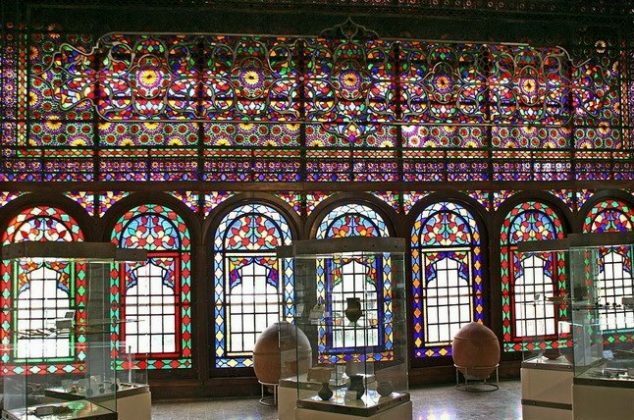 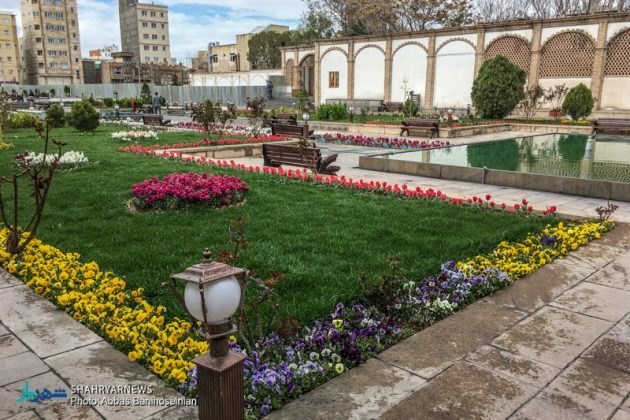 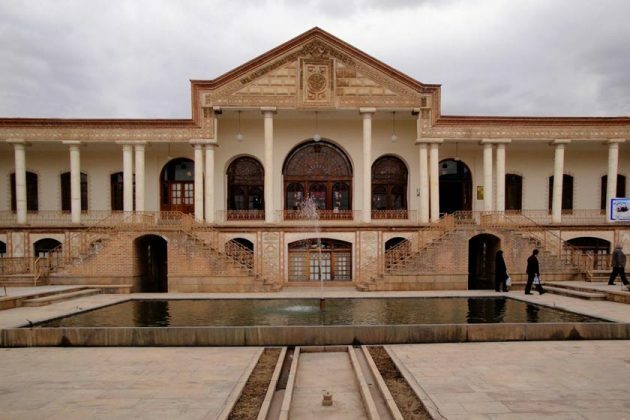 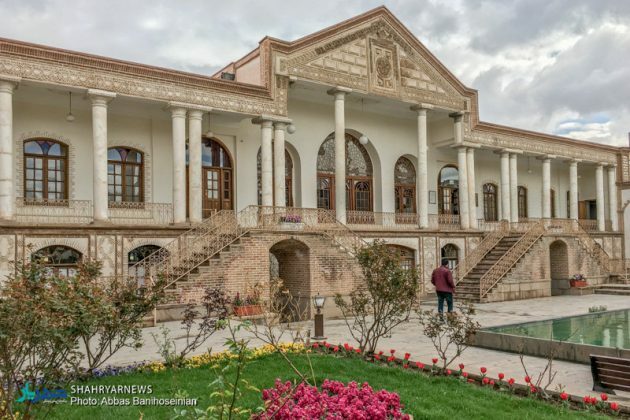 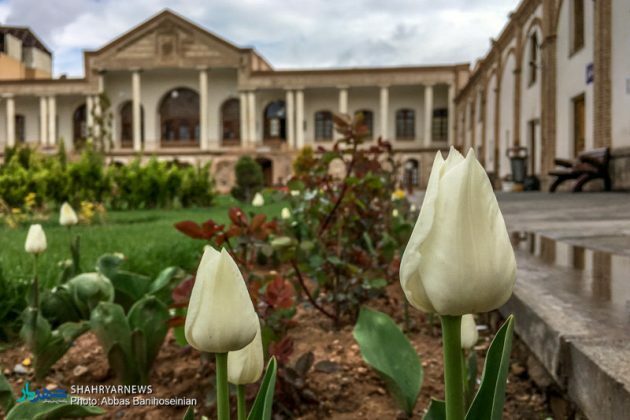 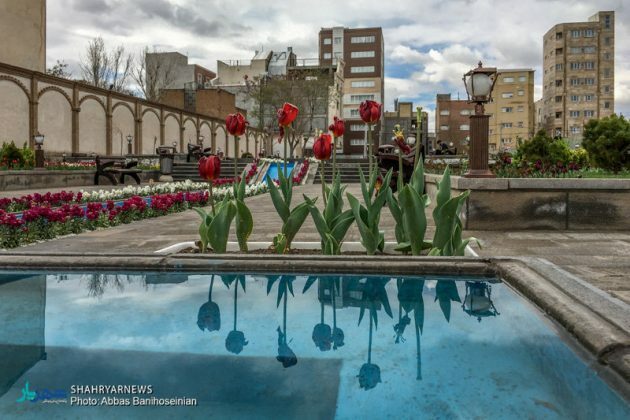 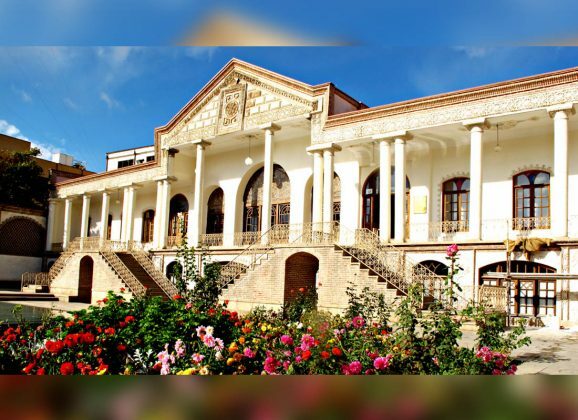 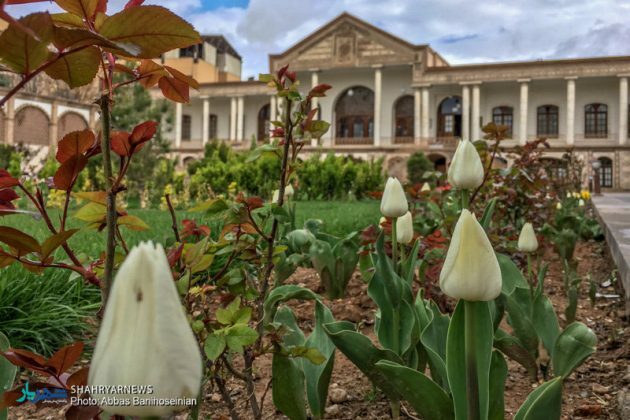 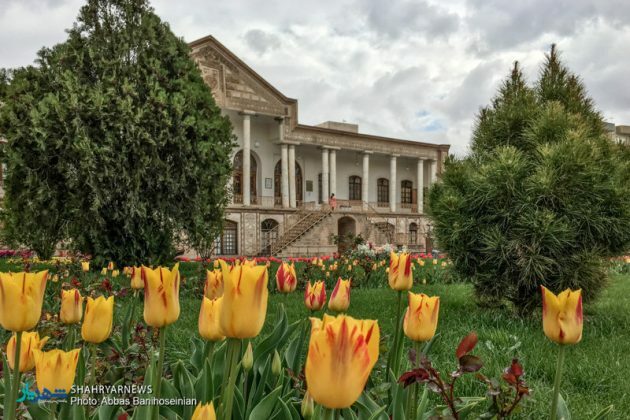 It was built during the time when Amir Nezam Garousi was an advisor to Naser al-Din Shah Qajar, the King of Persia from September 5, 1848 to May 1, 1896 when he was assassinated. 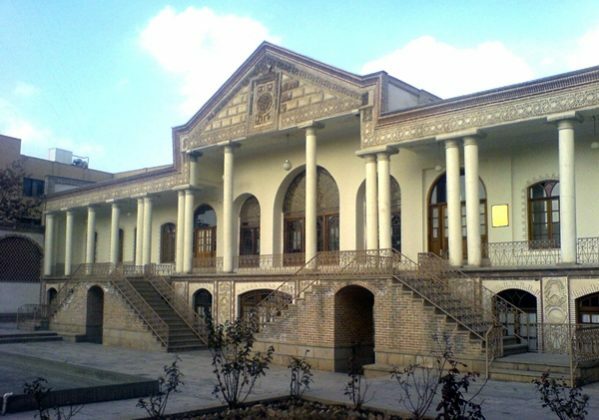 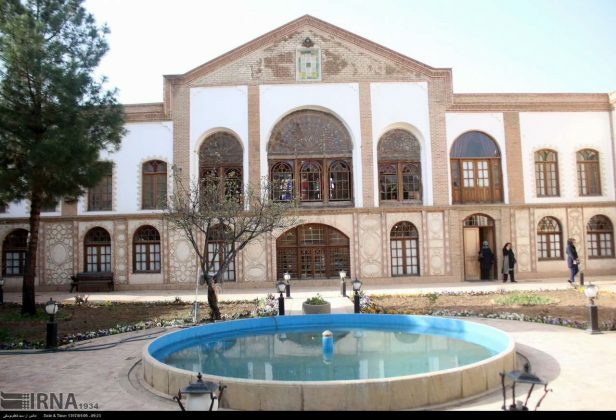 After the fall of the Qajar dynasty, the Pahlavi regime used the building as the Treasury Department. 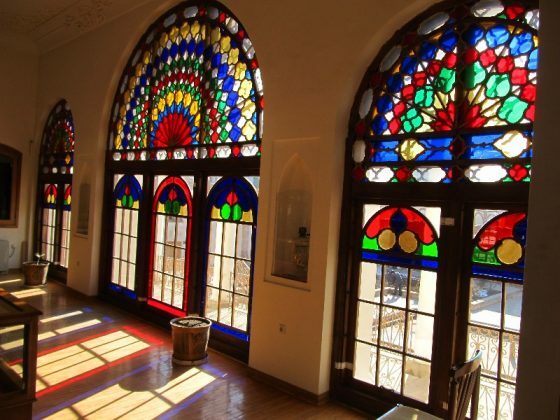 Constructed on a plot of land measuring 3,000 sqm, the two-storey edifice has a built-up area of 1,500 sqm. 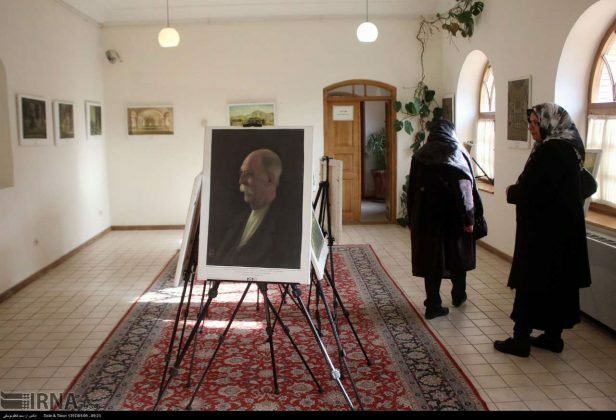 said. 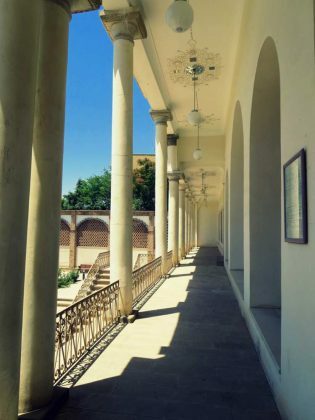 Sixteen columns with beautiful column heads support the porch. 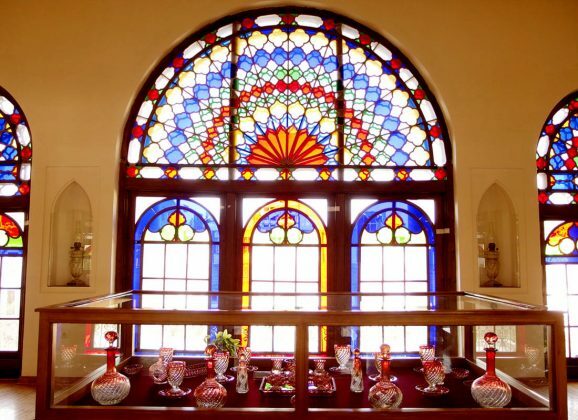 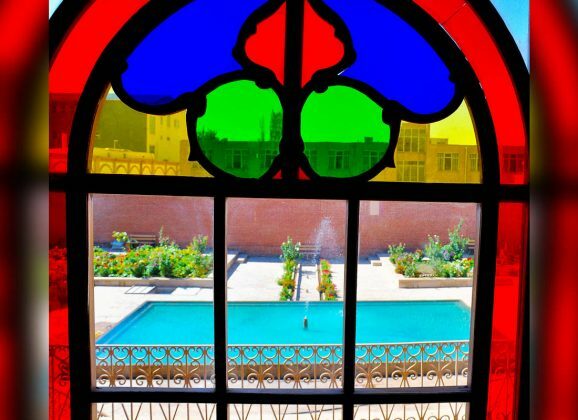 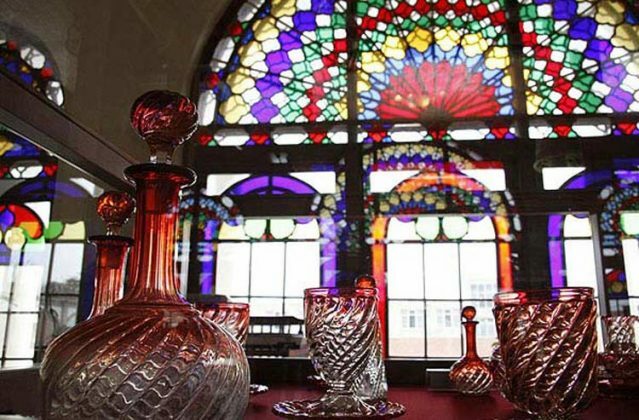 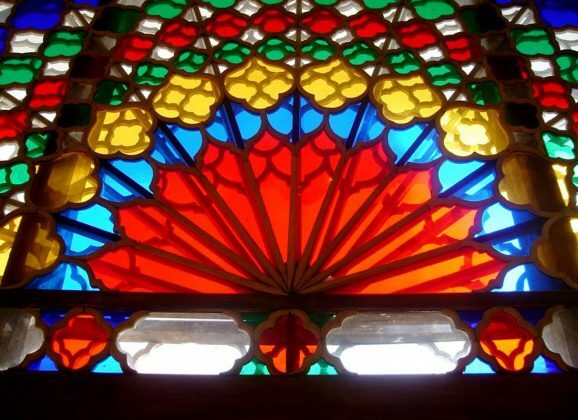 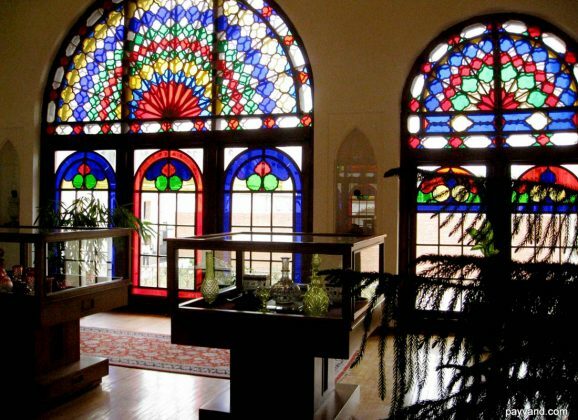 On the top floor, windows decorated with coloured glass as well as beautiful plaster and mirror work make the building all the more attractive. 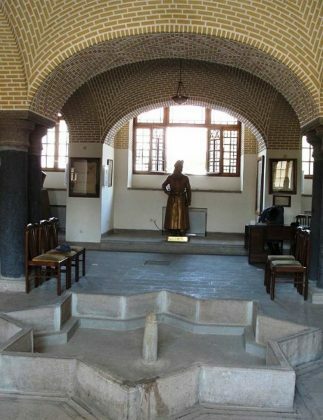 In the basement, there is a large “pond room” with exquisite architecture, making it one of the most beautiful parts of the edifice. 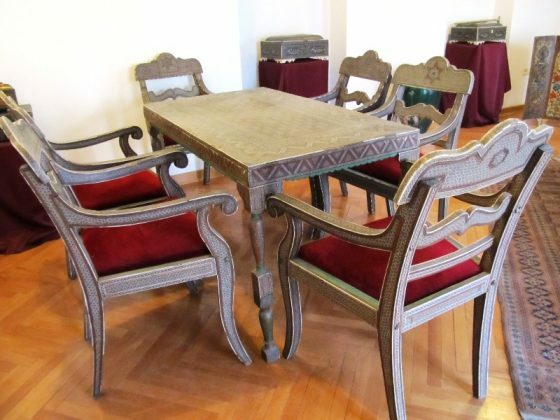 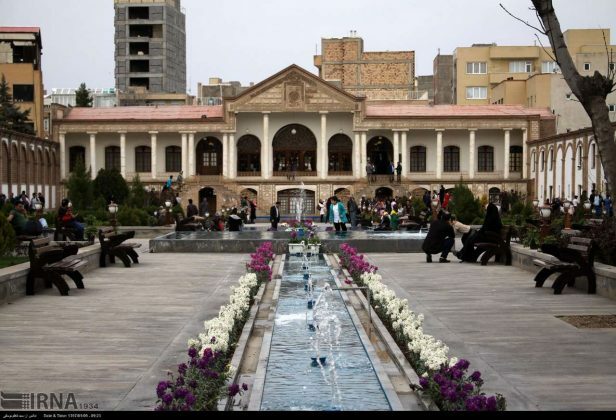 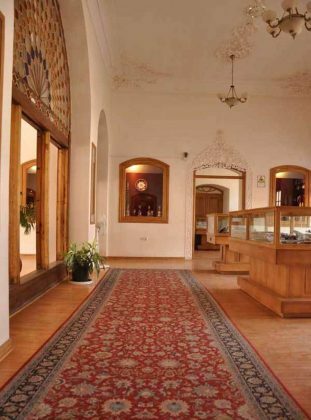 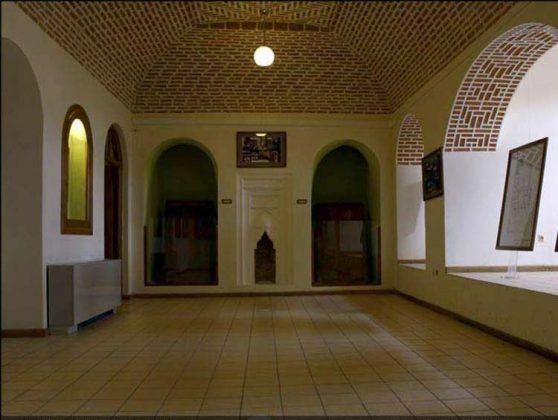 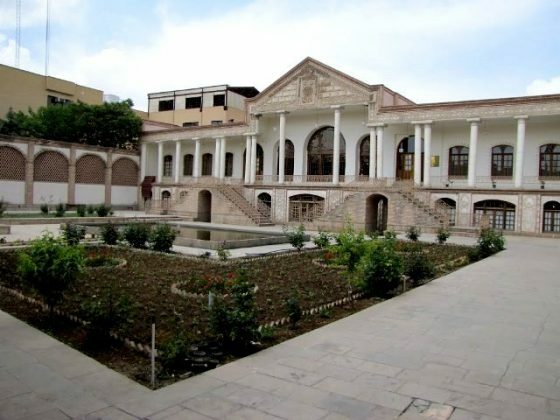 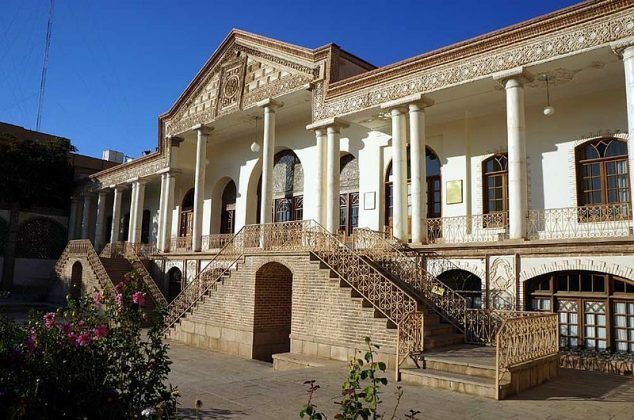 The house was purchased by the Cultural Heritage Organization in 1991, and given the serious damage that the building had suffered, it was restored and reconstructed while taking care that the building’s architectural and traditional features are preserved.